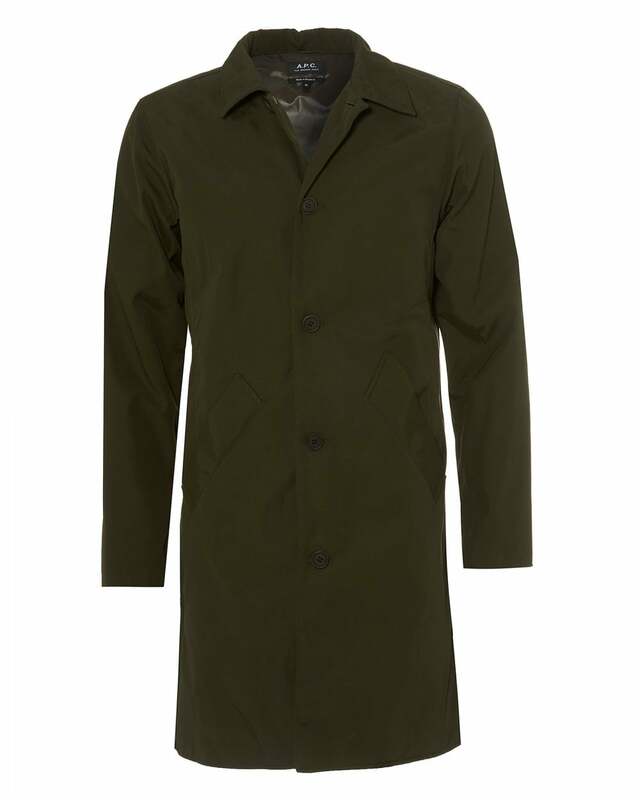 This Alex coat by Parisian brand A.P.C features a stylish straight cut, loosely fitted rain coat. With water-repellent material, crafted from Italian technical canvas. This coat is a classic design, and comes in a versatile military khaki colour which can be worn over many of your outfits.